DaimlerChryser has developed a new 3.5 litre V6 with cutting edge technology that allows it to develop a peak power of 200kW (272hp) at 6000 rpm and a superb torque curve that gives 350Nm from 2500 – 5000 rpm. 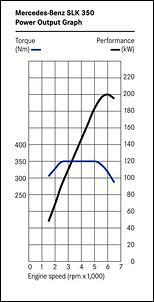 Even more impressive, 87 per cent of this peak torque is available from just 1500 rpm! 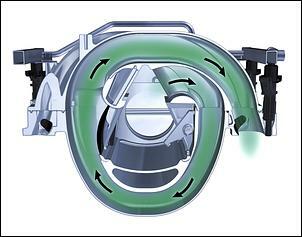 As expected from this manufacturer, the engine incorporates some new technology including moveable tumble valves in the intake ports and an electronically-controlled thermostat. The development was undertaken at the Stuttgart-Unterturkheim facilities where a team of around 500 engineers, technicians and mechanics developed the new design. Approximately 400 prototype engines were built for testing, both on the dyno and also mounted in cars and tested in different climates around the world. In order that these objectives were met, the engineers decided to include in the new design variable camshaft timing of both the inlet and exhaust cams, a two-stage intake manifold, tumble flaps in the intake ducts, heat management strategies and lightweight engine construction. 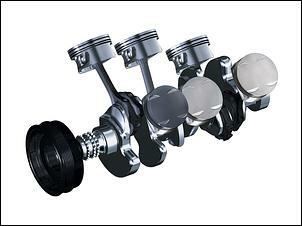 Continuously variable camshaft timing is used on both the two intake and two exhaust cams – the Mercedes engine is the first V6 with variable intake and exhaust valve timing... although it is not the first six cylinder engine with this feature. 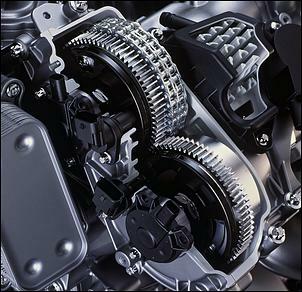 The cams are controlled as a function of engine load and are able to varied over a range of 40 crankshaft degrees. The variable timing is used to allow internal exhaust gas recirculation at low loads, reducing energy losses and improving fuel consumption. At higher loads, valve overlap is altered to better provide for the admission of fresh mixture, improving power and torque outputs. Electrohydraulic vane-type camshaft adjusters are mounted on the inner exhaust and intake cams; these cams drive their brothers through directly meshing gears. The main cam drive is via a duplex chain. 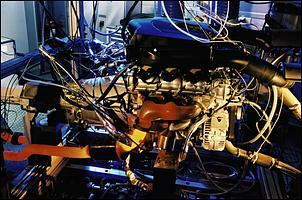 A magnesium intake manifold is used, bucking the worldwide trend to composite materials for this engine component. 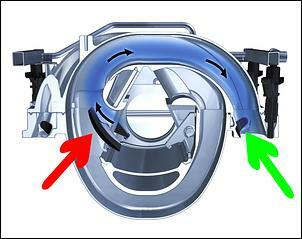 It incorporates both a two-stage, variable-length design and also tumble flaps in the ducts. 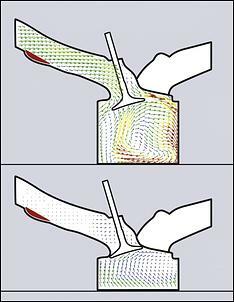 Under partial load, the tumble flaps are extended, increasing the turbulence of the gasflow passing into the combustion chambers and causing it to enter at a higher speed and with a more uniform distribution. This improves mixing and flame propagation within the combustion chamber, giving part-load fuel consumption gains of up to 0.2 litres per kilometre and also improving engine smoothness. 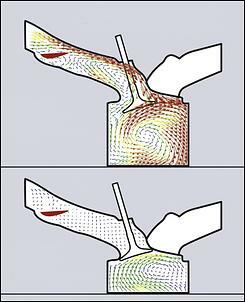 At higher loads, the flaps are recessed into the walls of the intake manifold and so have no effect on gasflows into the combustion chambers. The tumble flaps are driven by the ECU electronically controlling a vacuum canister. The action of the tumble valves is fully mapped. However, at lower engine speeds, intake runner length resonant tuning is maximised by the valves closing and the engine breathing through longer intake runners. 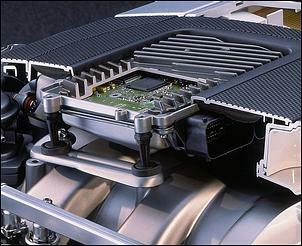 The Bosch ME 9.7 engine management system ECU is mounted on top of the engine. In addition to controlling fuel injection, ignition timing, the action of the tumble flaps and the variable length intake manifold, the system also controls coolant circulation. This is function is carried out by an electronically-controlled thermostat which allows rapid warm-up and stable oil and coolant temps. An oil-water heat exchanger is positioned on the engine. The cylinder head and block of the engine are made from aluminium, with the block not using cast-in iron liners but instead an aluminium silicon coating. The pistons are iron-coated aluminium, the con-rods are made from forged steel and are 20 per cent lighter than “other V6 engines”, and the crankshaft is also forged. 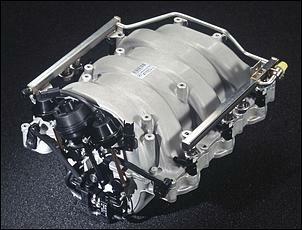 A balance shaft is positioned between the two cylinder banks. 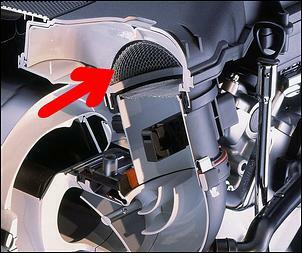 Some of the intake ducts are made from woven nylon, which reduces noise transmission. 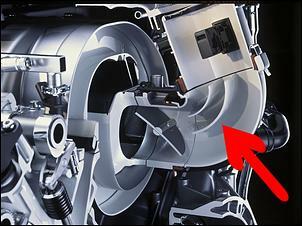 The twin cartridge airfilter is mounted on top of the engine under the cover. 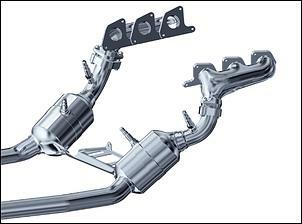 Close-coupled twin catalytic converters (one per bank) are each equipped with two oxygen sensors. Air-gap insulated exhaust manifolds promote quick cat converter heating. A secondary air injection system is fitted. 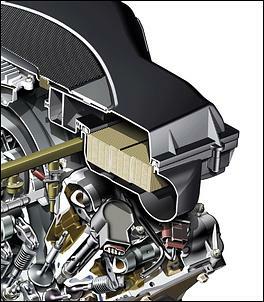 Perhaps the most impressive aspect of the engine is its ability to provide such a wide and high torque plateau with an excellent specific power figure. That combination should make for a very driveable design that also retains plenty of punch when the throttle is floored.